According to folklore, an ancient sink hole formation in Williston, Fla. was given the name “Devil’s Den” when locals witnessed steam rising up from beneath the ground billowing overhead with the mysticism of a presence from another world and dimension. According to Ken Schwiebert, part owner of the property, the geological wonder has been around as long as man has inhabited Florida. The underground cave has been dated to between 10,000 and 75,000 years old, characterized by fossils as well as limestone deposits that date to the Pliestocene Epoch. 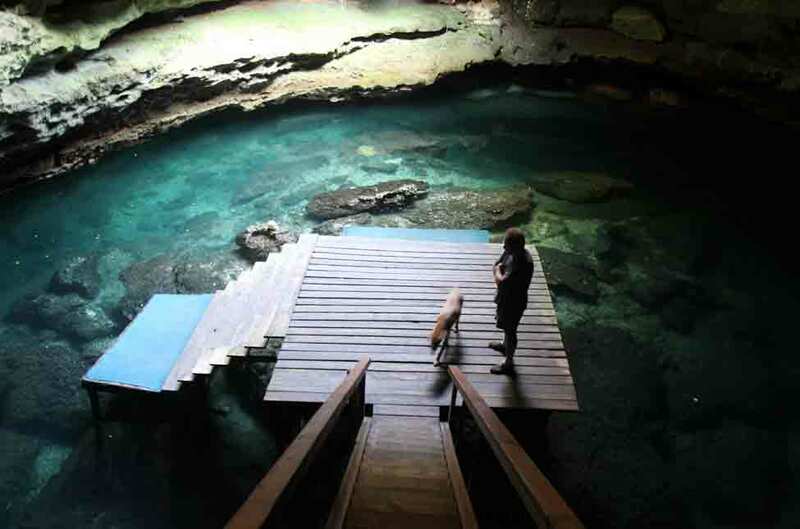 What once served as a nuisance and trash dump to discourage locals from swimming and exploring the underground cavern, now offers eco-tourists a majestic underwater cave diving experience with year round temperatures approximately 72 degrees. The spring, part of the Rainbow Springs Basin, exposes the Floridan Aquifer, usually around 50 feet deep within the cave, depending on annual rainfall.